More than one and a half years since it gave us a glimpse of its affordable MPV, Honda finally released the Mobilio in our market. 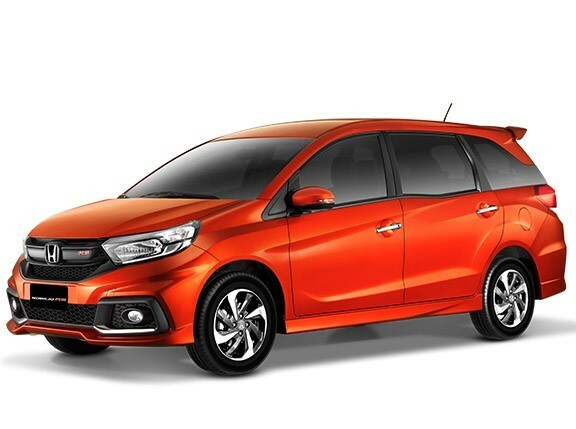 Honda Cars Philippines calls the Mobilio an MUV, or multipurpose utility vehicle, a slight play on its more generic category: multipurpose vehicle or MPV. It’s a segment that’s quite popular in our market, given our clannish nature and barkada-oriented activities. In other words, it never hurts to have extra seats in our country. 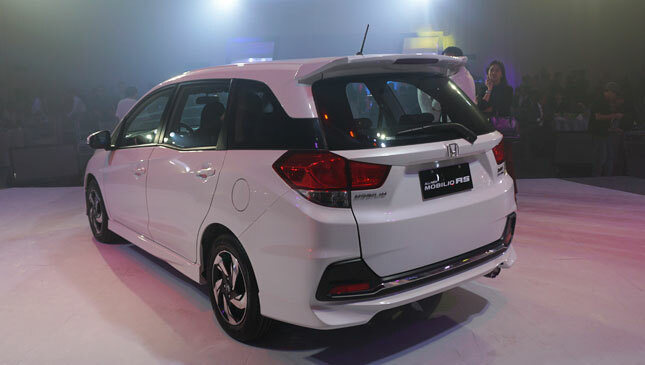 Honda did say it developed the Mobilio as a response to the needs of people for mobility, thus the name. 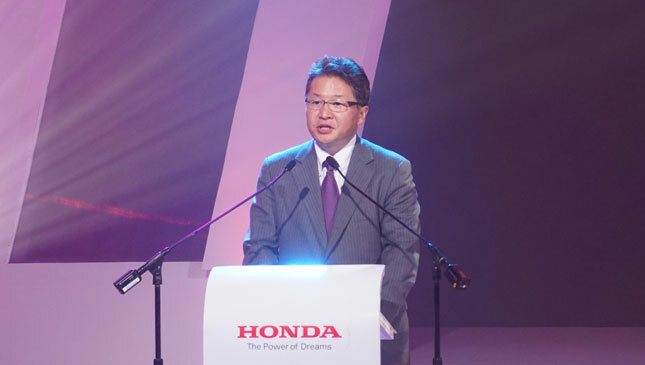 HCPI president and general manager Toshio Kuwahara said their new model was designed for the Asian market. 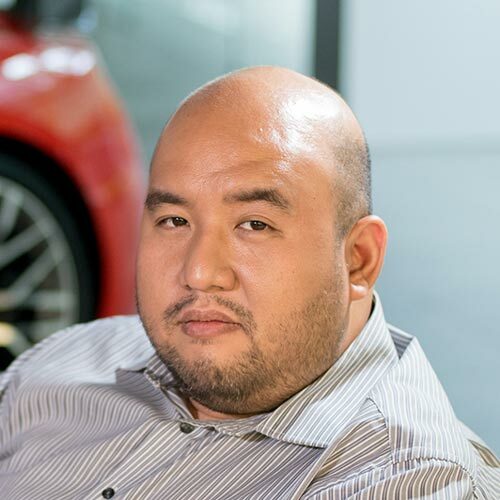 "With a clear grasp of the local culture, we believe that the Mobilio fits the needs and expectations of the Filipino family in a vehicle, and we are thrilled to be able to finally introduce it locally and see more smiles on the road in an all-new Mobilio," he declared. Whether you will smile when you see it for the first time will depend on how you perceive Honda’s small car, the Brio. 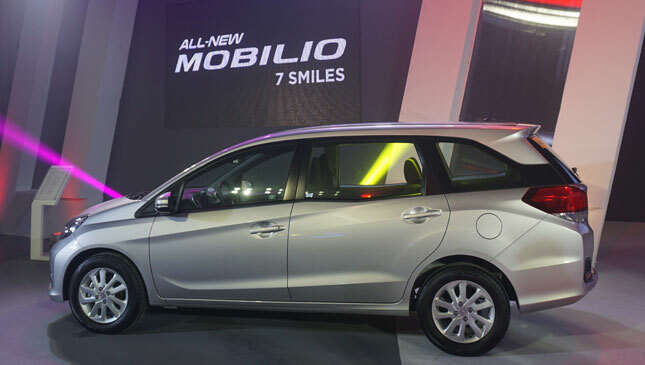 As you might have guessed seeing their obvious design similarities, the Mobilio is based on a stretched Brio platform. The top-spec 1.5 RS Navi variant is visually pleasing--even a little handsome in its White Orchid Pearl paint job. The mid-spec 1.5 V CVT variant in the silver metallic hue was also good-looking, an encouraging thought if you’re not gunning for the most pricey trim. At first, we wondered if something respectably roomy could be derived from a small platform, but if you’ve ridden the Brio or the Brio Amaze, you will be familiar with the generous space these twin models have. 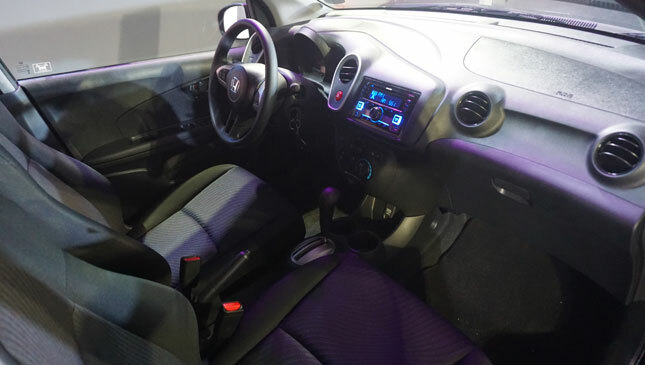 Honda set a high bar when it came to creating the Mobilio’s interior comfort. It designed the cabin based on a "Progressive Private Jetliner" concept, an idea that emphasizes modern styling, advanced technology, a spacious cabin, flexible seats, and a sedan-like ride that feels like sitting in a private jet. Rear A/C vents will make sure even passengers in the back are cooled adequately. Getting into the third row is easy because the second row just tumbles and folds with a flick of a switch. It’s quite a versatile interior, with the second row splitting 60/40 while reclining and folding, while the third row has a more even 50/50 split, fold and tumble ability. The interior and fit-and-finish are typical good Honda quality. The dashboard is the same as the Brio’s. There’s plenty of plastic, but the material feels sturdy and doesn’t budge when you press on it. Controls are basic and straightforward. At the end of the day, the cabin looks like it will ferry passengers in simple comfort. For entertainment, the top RS variant gets a seven-inch touchscreen audio unit with built-in navigation. A two-DIN head unit with Bluetooth audio and hands-free phone connectivity is fitted in the V variant. In terms of safety, Honda doesn’t scrimp across the line. Among the standard features are driver and passenger airbags, ABS with EBD, seatbelt reminder, Isofix attachments, and an immobilizer. Honda is also proud of the Mobilio’s 189mm ground clearance (for the non-RS variants), which is just 11mm lower than Ford’s EcoSport. Combined with dimensions of 4,386mm by 1,683mm by 1,603mm (L/W/H) and a 5.2m turning radius, this makes the Mobilio a very useful urban cruiser. Honda said it was designed to be easy to fit in parking spaces in households and shopping malls. Powering this Honda is a 1.5-liter i-VTEC engine, the same mill found in the Jazz and City models. This powerplant generates 118hp and 145Nm. Like most of Honda’s local vehicles, the base variant gets a five-speed manual gearbox, while a CVT manages power in the higher trims. 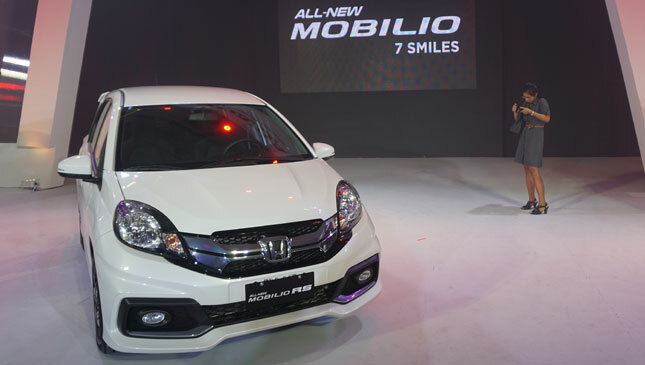 In the Mobilio, Honda has introduced an enticing proposition. 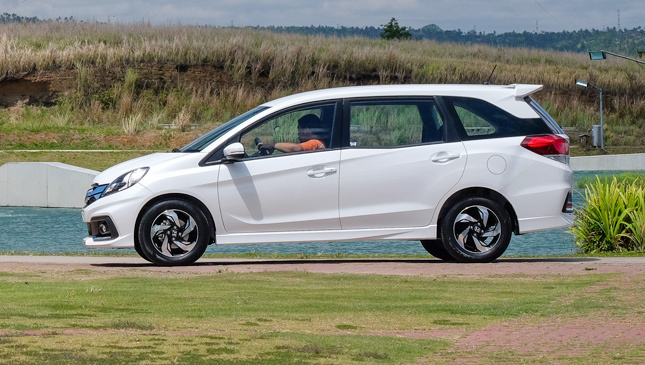 It’s a small MPV that looks good, seats seven capably, and is priced properly--especially the mid and bottom variants. All that we have to find out is if it drives like Honda. It’s a question we hope to have fun answering.